The campus of Florida State University will soon be cleaner, greener and quieter as a fleet of zero-emission electric buses rolls into Tallahassee and makes the university a national model for campus transportation systems. Florida State has signed a 10-year contract with StarMetro, the city of Tallahassee’s public bus system, to operate an all-electric university bus fleet. The plan is to replace 15 diesel-powered buses with revolutionary battery-electric models that are more environmentally friendly and cheaper to operate. FSU already operates three electric buses, so the addition of 15 next-generation models will boost the total fleet of electric buses to 18. Scheduled to be operating by fall 2019, the vehicles are expected to transport more than 700,000 riders a year on eight routes crisscrossing campus. Florida State has been working for the past two years toward the goal of operating an all-electric bus fleet because many existing buses have lasted beyond their useful life. The buses are custom-built by Proterra, a leading manufacturer of heavy-duty electric vehicles based in Burlingame, California, and they are designed to meet specific usage needs around FSU’s campus. Proterra will build the buses at the company’s plant in Greenville, South Carolina. The model heading to FSU is the 35-foot Proterra Catalyst XR+ Series with a seating capacity of 28 people. 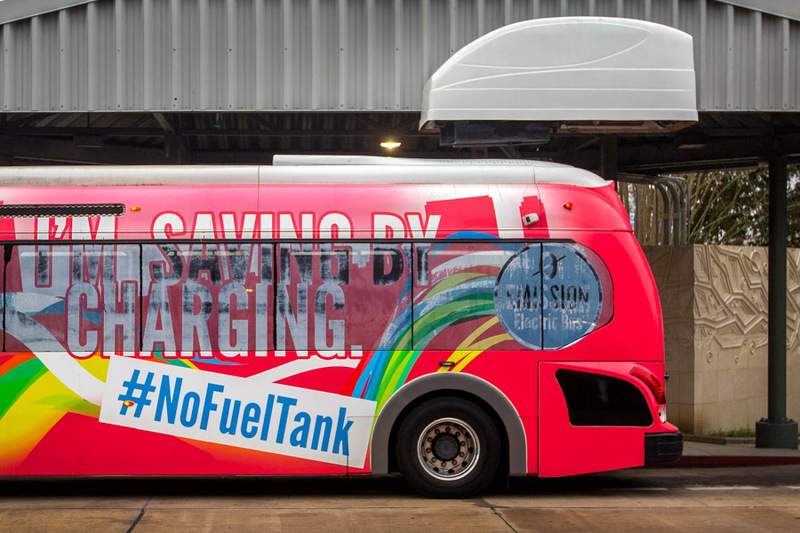 It releases zero greenhouse gas emissions, uses no liquid fuels, requires no oil changes and operates with 30 percent fewer parts than a traditional bus. Each year, Florida State’s new bus fleet is expected to eliminate more than 5 million pounds of carbon emissions. Over the fleet’s lifespan, it is projected to save about $10 million in fuel and maintenance costs. The electric buses, constructed with lightweight and durable carbon-fiber-reinforced composites, will cover all routes on FSU’s Seminole Express and Nite Nole transit services. The models comply with the Americans with Disabilities Act and include an ADA-sanctioned wheelchair ramp. Florida State’s new fleet is designed to operate up to 18 hours a day with recharging throughout the day. Proterra will install two fast-charging power stations on campus, one near Doak Campbell Stadium and another on Stadium Drive, that deliver a recharge in minutes. Proterra has studied all of FSU’s bus routes and tailored the vehicles to meet the schedule. The routes will be organized to allow each bus to get a recharge several times a day. Florida State’s all-electric bus fleet will expand in the future. In the fifth year of the contract, FSU will add three more buses, bringing the total number to 21. After seven years, another four will join the fleet. 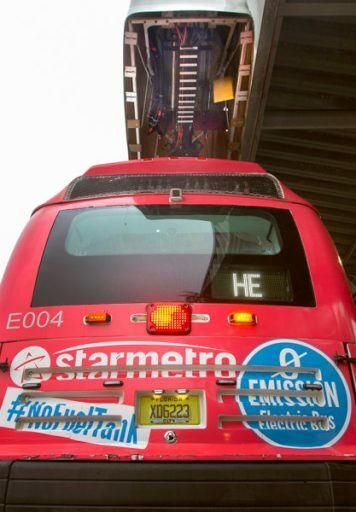 Tallahassee Mayor John Dailey praised the collaboration between FSU and the city’s StarMetro service as a valuable public partnership that serves the community well. 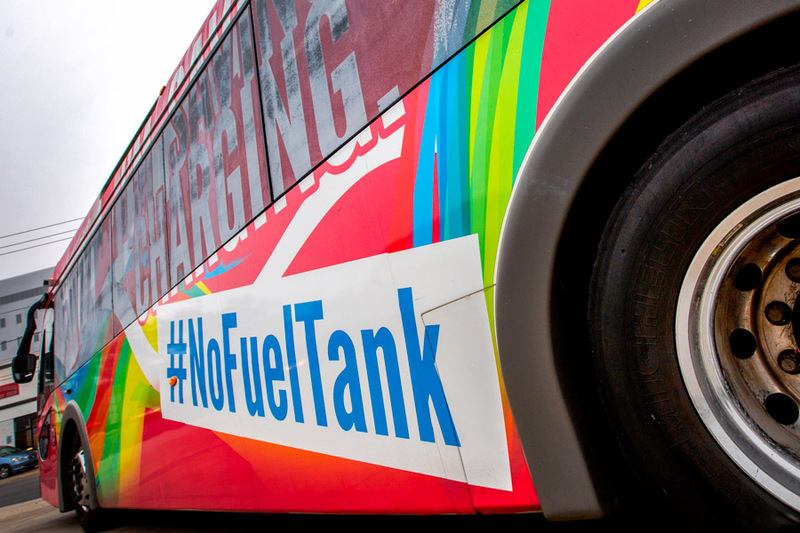 This transition to electric-vehicle technology paves the way for Florida State to meet changing transportation needs on campus, while cultivating a healthier environment for the FSU community with clean, quiet buses.